Latest figures for Australia show domestic overnight travel reached a record 100.3 million for the year ending 30 June 2018 (up 7%), and visitor spend rose 8% to a record $67.5 billion. NSW took the lion’s share. Domestic day visitors increased 7% to 200 million, and spend rose 9% to $21.4 billion, bringing total domestic (day and overnight) spend to $88.9 billion. In general, domestic visitors demonstrated savvy travel behaviour during the year with growth in unpaid or cheaper accommodation, and more nature-based and outdoor activities in preference to paid activities. NSW has continued its reign as Australia’s leading tourism state with record numbers of visitors turbocharging the economy, generating jobs and driving investment in local communities. 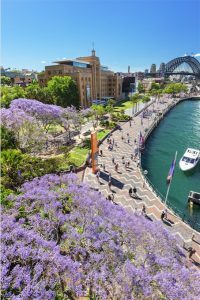 NSW has broken records with the latest round of National Visitor Survey results revealing in the year ending June 2018, 32.9 million domestic visitors (+9.3%) stayed 103.3 million nights (+6.7%) and spent $19.8 billion (+15.2%). The impressive growth in spend (+15.2%) was almost double NSW’s nearest contender, Victoria (+8 %). NSW leads Victoria by 8.3 million visitors, 31.7 million nights and $5.9 billion expenditure. Queensland was the third best performer however, NSW still led its northern rival by 10.5 million visitors, 13 million nights and $2.8 billion in expenditure. 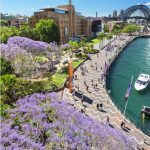 NSW Minister for Tourism and Major Events, Adam Marshall said visitors were not just coming to see Sydney, but more and more people were travelling to rural and regional towns to experience the State’s renowned hospitality and attractions. “These results are the highest on record and show the work the NSW Government is doing in delivering results for the tourism industry which directly employs more than 171,000 people in our State,” Marshall said. “I’m very proud that rural and regional NSW leads regional Australia in domestic visitors and has achieved its highest number of domestic visitors, nights and expenditure on record. The North Coast (+8%), Hunter (+13%), Central NSW (+15%) and Capital Country (+21%) regions all posted significant visitor growth and across regional NSW overall visitor numbers grew by 9%. Both intrastate and interstate visitor numbers to NSW were up 1.5 million and up 1.3 million, respectively.